Who among you is a fan of the Cars franchise? We're guessing that a fair chunk of you car lovers are big on these Pixar flicks. Ever since the first movie hit theaters back in 2006, even the most grizzled of our veteran colleagues couldn't help but be obsessed with the animated adventures of Lightning McQueen and his friends. As you'd expect, we're all excited to escape our office cubicles and catch Cars 3 in cinemas. Just before the movie hit theaters, we were lucky enough to get our hands on the Ultimate Lightning McQueen toy made by Sphero. If the toymaker sounds familiar, that's because it's the same company who made the very popular and realistic BB-8 droid from Star Wars. 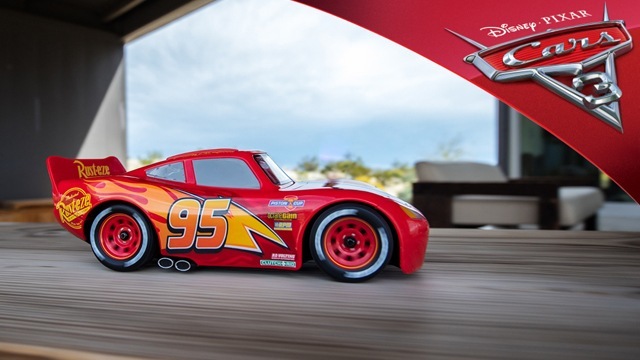 True to form, the Lightning McQueen toy mimics the on-screen version to a tee, complete with all of the character's trademark quirks and quotes. Oh, and he zips and drifts around with ease, too. But don't just take our written word for it. To learn more about this lifelike toy, click play on our video to watch Top Gear Philippines as they unbox and take Lightning out for a spin. Ka-Chow!